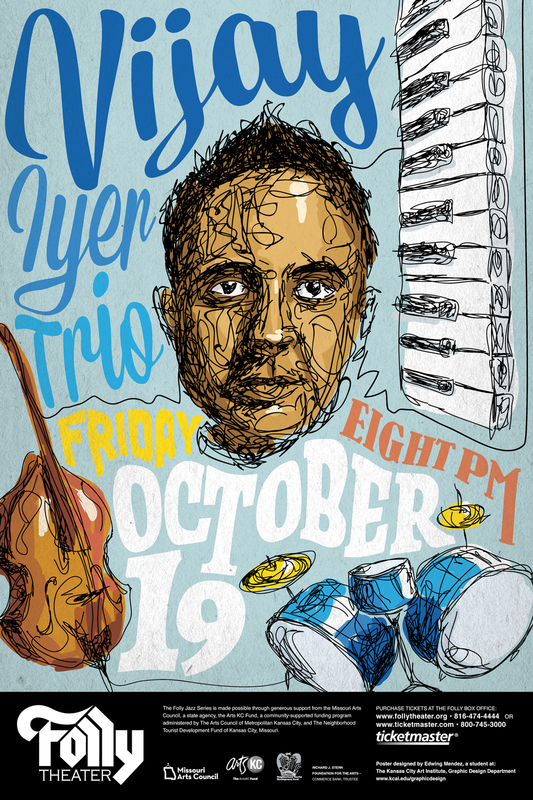 A jazz band known to be highly improvised and often described as erratic and heavy. 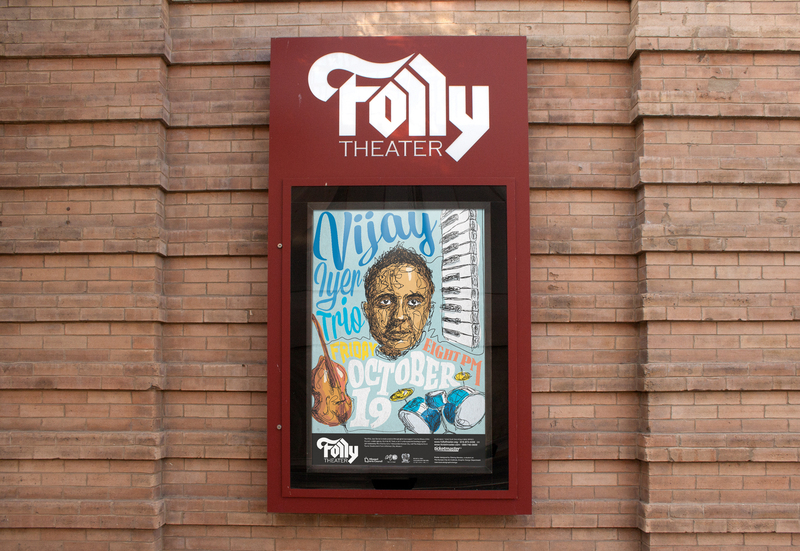 This multimedia campaign for the Vijay Iyer Trio at the Folly Theater was designed to reflect the band’s expressive quality. Through erratic line work and crowded compositions, I was able to reflect the density and flow of their music.